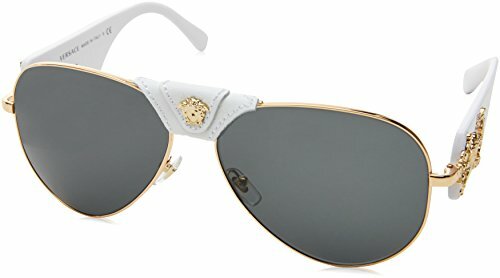 Versace sunglasses in a dramatic aviator shape. A signature Medusa face accents the leather-wrapped bridge, and intricate etchings detail the extra-wide arms. Hard case and cleaning cloth included.